Five matches. Five teams bowled out. Five victories. New Zealand have been off duty the past week at the World Cup, but their ultra-attacking brand of cricket was as finely tuned as ever. 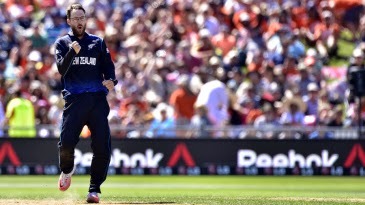 Daniel Vettori made it look even more menacing with a touch of spin and a lot of guile. His 4 for 18 eased him past 300 ODI wickets and left Afghanistan all but out of the World Cup. 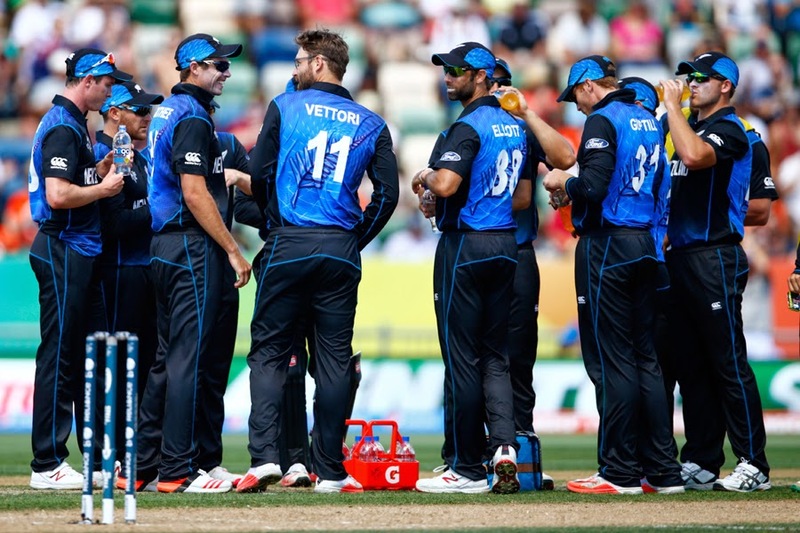 A target of 187 was not going to be taxing, and it provided opportunity for Martin Guptill to find some touch. A 76-ball 57 included some forceful punches off the back foot and handsome lofts down the ground - both trademarks of the batsman when in full flow. Ross Taylor and Grant Elliott, members of a middle order that had not done much in the tournament so far, too made the most of their time in the middle as the hosts won with 83 balls to spare.